Join us for worship tomorrow as we enter into Holy Week and the narrative of our faith. All are welcome! 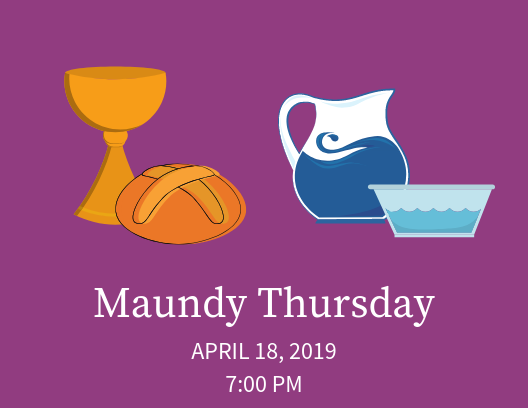 Join us for worship tonight for worship as we celebrate the Eucharist, wash feet, and strip the Altar. All are welcome! 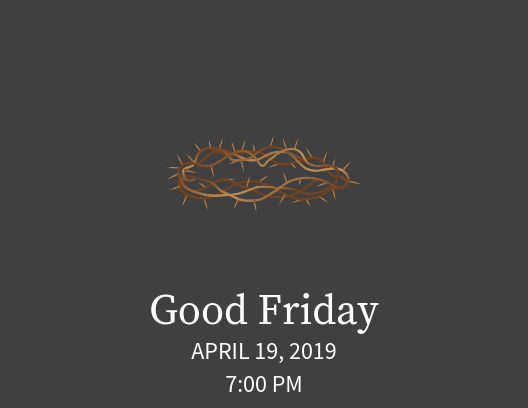 Join us for worship tonight for Good Friday worship as we hear again the story of Jesus' passion - from his arrest to his burial. All are welcome! 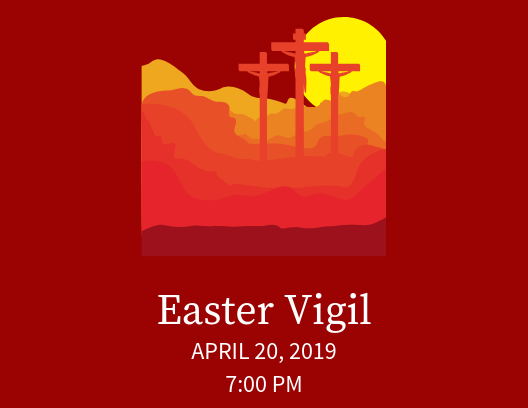 St. Augustine once said, "The Easter Vigil is the mother of all vigils." Tonight's vigil celebrates the complete narrative of God's salvation for the whole world. Join us tonight to hear again the stories of our faith and celebrate the promise of the resurrection! All are welcome! 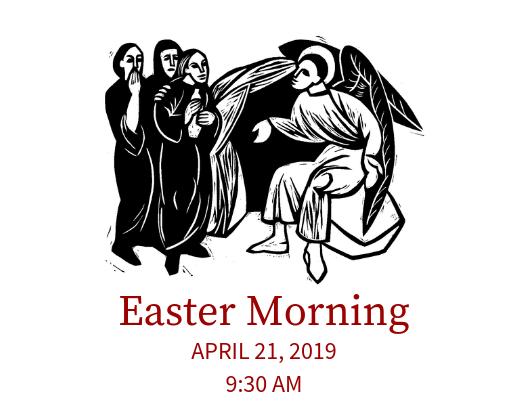 All are welcome this morning at 9:30am as we celebrate the resurrection of our Lord! Brunch to follow.